Spray foam insulation delivers superior performance and money saving benefits to builders, contractors, and homeowners. Open and closed cell spray foam insulation reduce energy loss by creating an airtight seal that tightly fills cracks, gaps, and joints. Builders and homeowners can also save money by right-sizing their HVAC systems when using spray foam insulation. In some cases, HVAC unit tonnages have been reduced by as much as 40 percent, and consumer heating and cooling costs have dropped as much as 60 percent. Why use Ozark Foam Insealators on your next project? Our staff has a combined 60+ years experience in the spray foam insulation business. 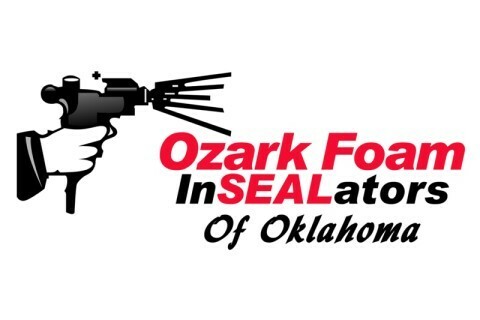 Ozark Foam Insealators is fully insured, general liability and workman’s compensation. Ozark Foam Insealators requires no money down. You pay only when the job is complete. There is never an additional charge. Our written quotes are firm as stated. Ozark Foam Insealators is available to help provide guidance and budgetary numbers on your next project. Ozark Foam Insealators installs only high-quality spray foam products; we never substitute inferior materials to meet a price point. We install both open cell and closed cell spray foam. Ozark Foam Insealators builds their own rigs from state of the art, industrial grade equipment and we have multiple spray foam insulation rigs for quick response time. We do not do construction or other business activities. We specialize in spray foam insulation to be the best at what we do, and our market area confirms this.